What has my writing taught me? 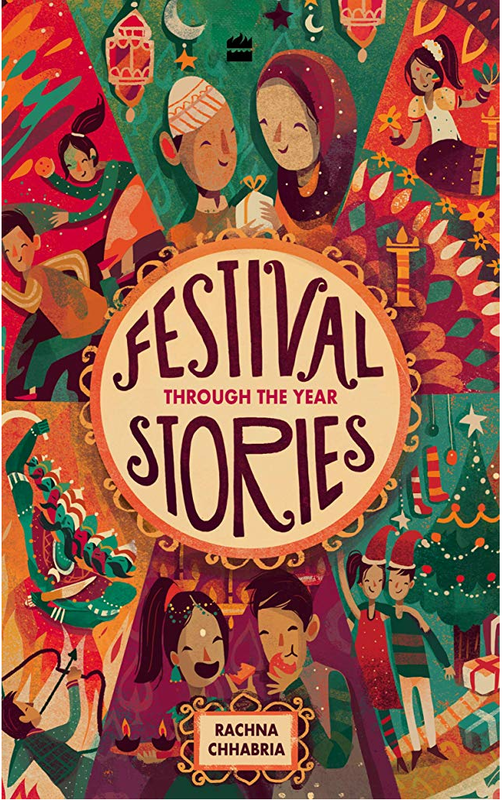 My journey as a writer has been quite long, starting with short stories and features for several years before I plunged into writing my books. I have learnt several things in this journey which I would like to share with you all. 1. Writing has taught me patience. Patience is not one of my better known virtues. The time it takes to write a book: from the idea to the completed manuscript, revised and polished, until it shines, is long. Sometimes it takes ages to write that crucial scene or arrive at the resolution. 2. Writing has taught me to respect people with split personalities as my personality undergoes a drastic change at different stages of my writing. When I am writing the first draft, I am quite stressed and irritable with the smallest disturbances. When I rewrite, I am pretty upset with myself, and when I edit, I am relaxed and cheerful. 3. Writing has made me value other writer’s efforts. I never dismiss a book as crap or run a writer down, as I am aware of the effort someone else must have invested in that story. The book may have bored me to tears, disappointed me, but it still required a tremendous effort from someone else to bring it to that stage. 4. Writing has made me appreciate the little free time I get. For us writers, our work doesn’t end with just writing a publishable book, it starts with that. Once we have jumped onto the publishing bandwagon, we have to actively market our books. At that point we realize that the day could have done with a few more hours. 5. Writing has made me realize that if I were to wait for a visit from my muse, I would probably write just a book or two in my lifetime. It’s made me realize that whether my muse joins me or not I have to keep writing. 6. Writing has been responsible for me developing a thick skin. An editor/agent/reader/publisher may not have reacted favourably to my work, but that doesn’t necessarily mean that I am a bad writer, or, that I have to drown myself in self-pity. For every single person out there who doesn’t like my work, there is another person who loves it. Not every book we write will win universal appeal. 7. Writing has taught me a lot about spirituality. 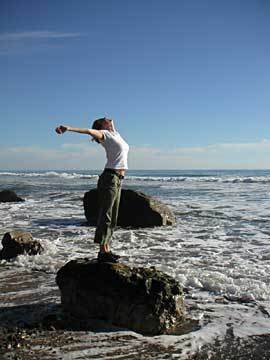 We writers get familiar with every aspect of spirituality: from surrender to working without any expectation. We don’t even know whether our books will get published. Do we know the fate of our manuscripts when we send it on its publishing journey? Do we know whether a character we have worked on for years will be loved or dismissed by readers? Each cheque we receive is a pleasant surprise. What has your writing journey taught you? Please share with us, we all would love to know. P.S. I am reposting one of my older posts as the week slipped past swiftly and I had no topic in mind. 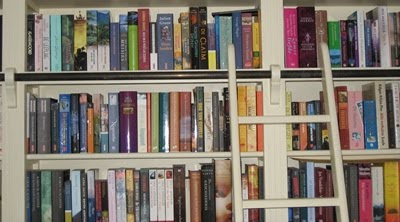 Are you reading enough books? We constantly hear that reading is like doing homework for writers. That the more we read the more we learn about writing. What works and what doesn’t work in terms of plot points, character development, story arc and several other aspects of writing. Every editor and agent advises that to write well one must read, read and then read some more. Reading widens our writing horizon. It exposes us to a wide range of writing techniques. I think my love for writing was fuelled by reading. 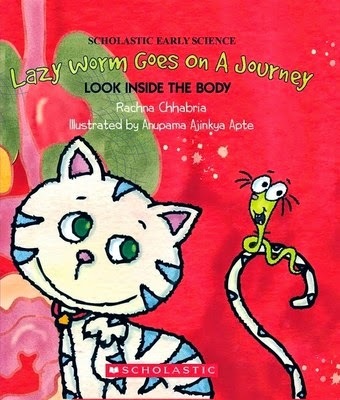 As a child I was a voracious reader. Summer holidays would see me devouring large piles of books like a book monster. Somewhere deep down, this intense love created a desire in me to write my own stories. The only time I don’t read much is when I am writing the first draft of my manuscripts. This is a deliberate attempt so that I don’t subconsciously copy or get influenced by another writer. But, once the first draft is done then I am back to reading big time. In the last few months I have read several books: Hunger Games Trilogy, the first book of the Divergent series, Millenium Trilogy, Anuja Chauhan’s ‘Those Pricey Thakur Girls’, Ashwin Sanghi’s ‘Chanakya’s Chant’ and now ‘The Krishna Key’ (both of which I found simply amazing), Anita Nair’s ‘Cut like Wound’ Sarita Mandanna’s ‘Tiger Hills’, Amish’s ‘Immortals of Meluha’ and ‘The Secret of the Nagas’, Randy Boyagoda’s ‘Beggar’s Feast’. I have noticed that I am hardly reading any Middle Grade books. All the books I am reading are YA or Adult fiction. I need to get some MG books. Like me are you all obsessed with reading. Any suggestions for good MG books? Do you make it a point to read books? What are you all reading now? How to handle the flood of unsolicited mails? From the past several months, I have been inundated with emails from writers; both published ones and aspiring ones, to either carry their book reviews, let them guest post on my blog or to host them on my blog or to critique their books. One guy even went to the extent of telling me a story idea he had and he expected me to write it for him. I wanted to tell him that I don’t have the time to work on my own ideas and write my own stories, how does he expect me to write his. I advised him to write the story and then hire a professional editor. Needless to say, he never replied back. Another guy sent me his ebook and asked me to review it for him and also do an interview with him. All this without doing the basic courtesy of asking me first. I politely declined. It’s getting very irritating to reply to all these emails. There are all kinds of people who approach with offers of carrying their advertisements. Then there are writers who have no claim to any kind of connection with me, but they want me to read their stories/chapters. Then there are the writers on whose blog I may have commented once, they have saved my email id and now send me all kinds of newsletters, promotional offers and alerts. I am getting so irritated, I just don’t know what to do with all this. Yes, my blog is about me, but it’s also about my blog buddies who make an effort to visit me and leave their thoughts in the form of comments. I have no problem hosting my close blog buddies on my blog, helping them during their book promotions, doing guest interviews with them or helping publicize their books. But people who don’t know me just cannot expect me to go out of my way to help them. How do you all deal with these issues? 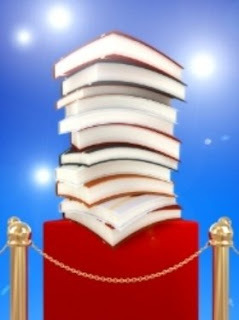 Do you review all the books that you are offered? Do you host all the people who want to do guest posts with you? Any advice for me? When to Self-publish a book? From the last few days, lots of my writing friends (both in India and abroad) whose books have encountered rejection, are considering opting for the self-publishing route. In India as we don’t have agents, we writers approach the publishers directly after getting their email id’s from the website. One of my friends told me that she was strongly considering uploading it on Amazon just so that people could read it, as all the publishers she had approached had not bothered replying. I am sure it’s not that easy and that there are other things to consider while self-publishing. I made her reconsider her decision. I even beta read her book, sent her feedback and requested her to resend the book to the same few Indian publishers after she had revised it extensively. I asked her to send it in batches, to a few publishers at a time. First send the bigger publishers, then the smaller ones. She has done that and is happy that the publishers have told her they will get back to her. I personally feel that sometimes a particular story has no appeal for the publishers however well we write it. That’s why it’s important not to pin our hopes on one book and to keep writing other books and stories. Now I come to an important question. At what stage does one consider self-publishing? After how many rejections should one drop the idea of going the traditional publishing route? At what point should we give up on getting that particular book traditionally published? For those who have gone the self-published route what was the reason and the process? Please share your views. P.S. If any self-published writer is interested in doing a guest post on the entire process, then please email me. There are many writers who want to self-publish but don't know how to go about it. The post will help them. 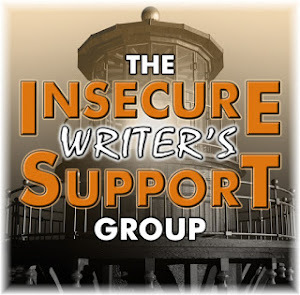 If IWSG founder Alex J Cavanaugh had not sent me a email reminder for this month’s IWSG post, I would have posted late. 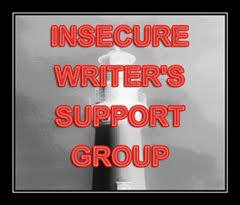 IWSG (Insecure Writer’s Support Group) founded by Ninja Captain Alex Cavanaugh, is a support group for writers, where we talk of our writing insecurities and help and support each other. We post on the first Wednesday of every month. This is my seventh post for IWSG. In this post I will share one of my writing insecurities- plot envy. While searching for agents, I came across something called high stakes. Practically every agent wanted a story where the stakes were high. Most of them gave the example of Hunger Games. I interpreted high stakes as the main character having the threat or shadow of death hanging over its head throughout the story. After reading this, I made it a point to buy Hunger Games on Amazon and read the three books in quick succession. 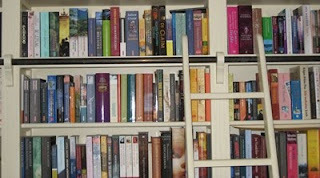 The books ensured that I suffered from heavy bouts of plot envy. As a reader I was so engrossed in Katniss’s story. For a few days I even toyed with my own plot, trying to raise the stakes for my protagonist. But how much ever I tweaked and played around with my plot, I could not get the death threat into the picture. I did manage to raise the stakes, but there was no way there would be a death threat hovering over my main character’s head. After much agonizing I realized that every plot/story is unique. There is no one size fits all remedy. Just because Suzanne Collins books did well or just because I was unfortunate enough to query the agents who wanted a story with high stakes, was no reason to beat myself over it. What I could do was write the best story I could and forget about what an agent’s requirement was. 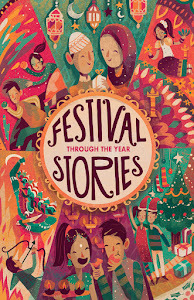 Every story and plot is unique and each writer treats his/her story in an individual way. We are not clones of other writers and we should not even try to be. So, far the time being, plot envy has been pushed away. What about you all? Do you all suffer from plot envy? How do you all manage to keep your envies and insecurities at bay?